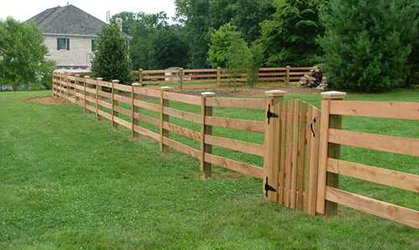 Montgomery County MD Fence and Gate Contractor offering fence and gate services and quality products for the residential and commercial markets in the Potomac, Rockville, and Gaithersburg area for almost 30 years. Installing a fence or gate at your residential or commercial property can be overwhelming. Fence and Gate Contractor serving the homes and businesses in Montgomery County MD cities and zip codes Ashton-Sandy Spring, Aspen Hill, Barnesville, Bethesda 20810, 20811, 20813, 20814, 20815, 20816, 20817, 20824, 20825, 20827, 20889, 20892, 20894, Brookeville, Brookmont, Burtonsville, Cabin John, Calverton, Chevy Chase, Chevy Chase 20815, 20825, Chevy Chase Section Five, Chevy Chase Section Three, Chevy Chase View, Chevy Chase Village, Clarksburg 20871, Cloverly, Colesville, Damascus, Darnestown, Fairland, Forest Glen, Friendship Village, Gaithersburg 20877, 20878, 20879, 20882, 20883, 20884, 20885, 20886, 20889, 20899, Garrett Park, Germantown 20874, 20875, 20876, Glen Echo 20812, Kemp Mill, Kensington, Laytonsville, Martin's Additions, Montgomery Village, North Bethesda, North Chevy Chase, North Kensington, North Potomac 20878, Olney 20830, 20832, Poolesville 20837, Potomac 20854, 20859, Redland, Rockville 20847, 20848, 20849, 20850, 20851, 20852, 20853, 20854, 20855, 20857, 20859, Rossmoor, Silver Spring 20901, 20902, 20903, 20904, 20905, 20906, 20907, 20908, 20910, 20911, 20914, 20915, 20916, 20918, 20993, 20997, Somerset, South Kensington, Takoma Park 20903, 20910, 20912, 20913, Travilah, Washington Grove, Wheaton-Glenmont, White Oak.